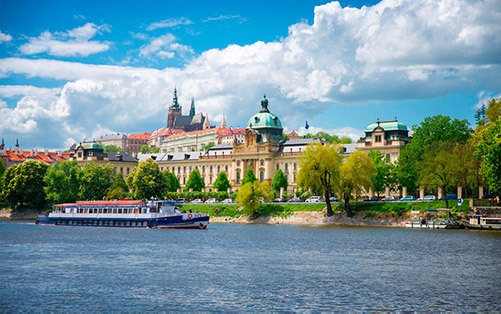 Travel by private taxi, van, minibus or bus from Prague to Salzburg. MYEUROTAXI.COM offers different types of transfers with respect to different wishes, budgets and flexibility of our customers. Enjoy travelling by our exclusive cars across Europe. Salzburg is an Austrian city on the border of Germany, with views of the Eastern Alps. The city is divided by the Salzach River, with medieval and baroque buildings of the pedestrian Altstadt-Old Town on its left bank, facing the 19th-century Neustadt-New Town on its right. 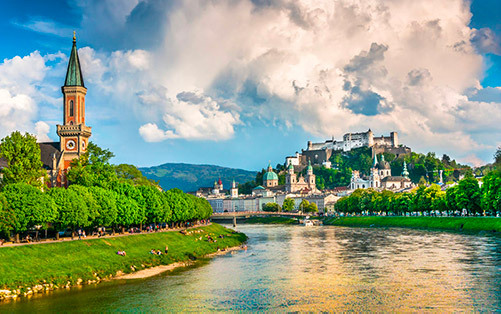 Salzburg, the birthplace of Wolfgang Amadeus Mozart, is dominated by churches, castles and palaces. Its picturesque old town is a UNESCO World Heritage Site.